If it’s not the Twins, can the Yankees win? Last year the Yankees were ousted from the playoffs at the hands of the Detroit Tigers, losing the deciding Game Five on Oct. 6. 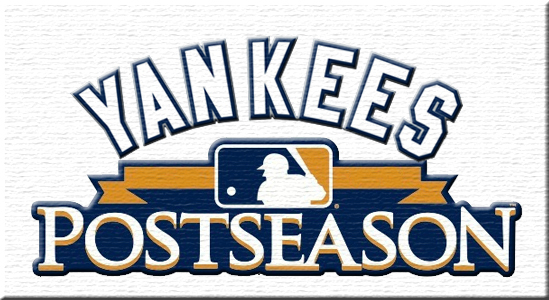 This year will be a much different story, considering the American League Division Series won’t even begin until Oct. 7 – 2012 already a longer postseason than 2011 for the Bronx Broskis. By the end of tonight’s all-or-nothing Wild Card play-in game the Yanks will know where they’re headed for the first two games of the ALDS: they’ll either be getting on a plane set on course for Texas to play the Rangers, or they’ll be heading to Baltimore to face the Orioles. Before they square off with their first round opponents, there’s an ALDS history lesson that needs to be taught. In 2001, the Yanks eliminated the Oakland A’s in five games. Since then have had an easy time with one particular team in the first round of the playoffs, but haven’t had much luck against virtually anyone else. Either way, New York has a great deal of experience playing each of its potential 2012 first round opponents. This writer has been asked who he’d rather see the Yankees play in this year’s ALDS: the Rangers or Orioles. I’m not quite sure because the way I see it, there are pros and cons of facing either team. The Rangers played incredibly sloppy baseball to close out the 2012 regular season, committing three errors on the way to a one-sided 12-5 loss to the Oakland A’s on Wednesday, blowing the AL West in the process– and it didn’t start there. Texas lost seven of its last 10 regular season games. Past success in the ALDS vs. Texas. The Yankees played the Rangers in the ALDS in 1996, 1998, and in 1999 – and knocked them out all three years while twice sweeping them (‘98 and ’99). 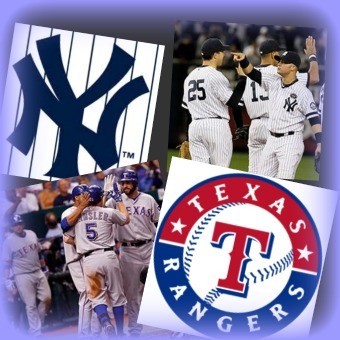 Although the Rangers knocked the Yanks out in the second round of the playoffs in 2010, the Yanks have never had a problem with them in the first round. Numerically in fact, the Yankees are 9-1 vs. Texas in ALDS play. The first two games will be played in Arlington. Along with the changes made to the Wild Card, MLB changed the rules in terms of home field advantage. Instead of the team with home field advantage playing the first two games at home, then going on the road for two, then coming home for a Game Five (if necessary), the team with HFA starts on the road for two games, then comes home for the final three (games four and five of course, if necessary). Therefore, the Yankees will have to play the first two ALDS games in Texas, which is a difficult Stadium to win at. Facing Yu Darvish. The Yanks won’t have to worry about the young man from Japan in Game One of the ALDS if the Rangers take the Wild Card, as he’ll be starting the winner-take-all game vs. Baltimore tonight. However, if the Yankees do happen to cross paths with him, they should keep Tuesday, April 24 in mind: the night Darvish shut them down with an 8.1-inning, 10-strikeout masterpiece to lead the Rangers to a 2-0 win. His name might not be Cliff Lee, but Darvish was a virtuoso that night; reminiscent of a Lee performance. Pitching to Josh Hamilton. 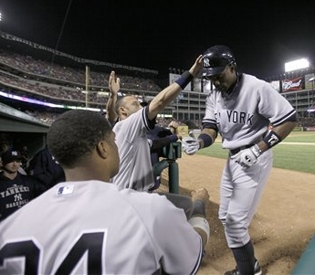 In the 2010 ALCS Hamilton punished the Yankees, clubbing four home runs, driving in seven, and batting .350. He went on to win the ALCS MVP, and later the American League MVP. His batting average for 2012 may not have been the highest of his career (.285) but Hamilton still smacked 43 homers and batted in 128 runs. He is one of the most dangerous hitters in the big leagues – and obviously he’s more dangerous playing in October, when it matters. Familiarity. 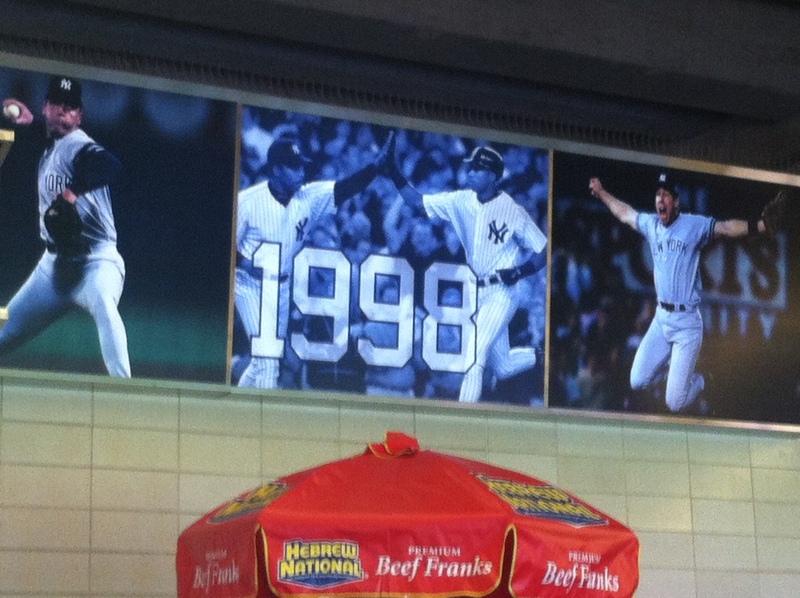 The Yankees are no strangers to Camden Yards, having played nine games there this year. 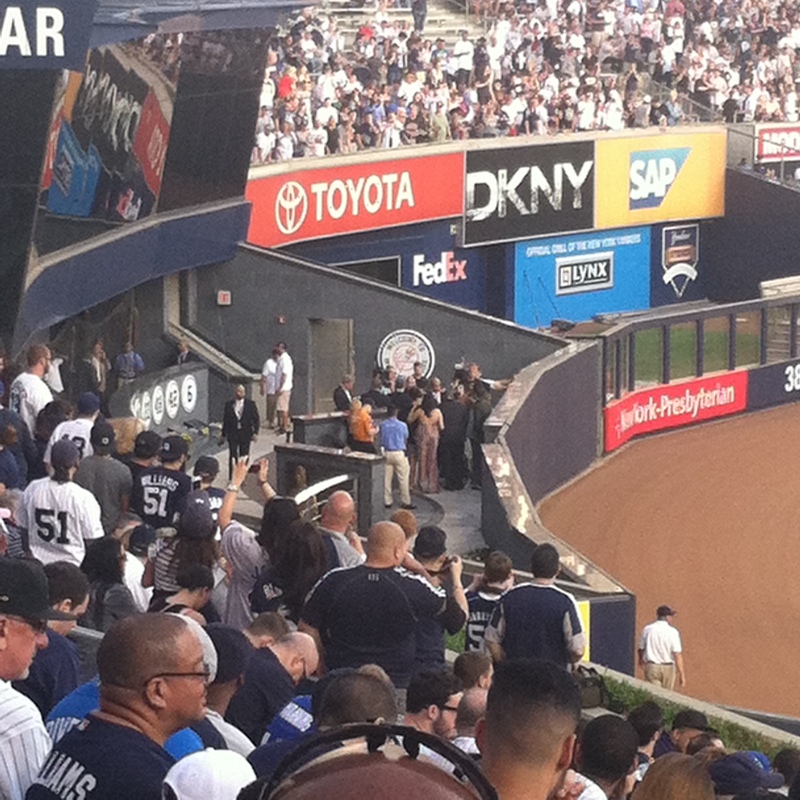 Yankee fans flock down from New York to root for the team, sometimes giving Oriole Park the feel of Yankee Stadium. And in case you’re wondering, six of the Yanks’ nine wins vs. Baltimore this year were road victories. The Orioles’ postseason drought. Baltimore hasn’t danced in October since 1997 – and their last taste of playoff baseball ended on a sour note: the Indians beating them in the ALCS. It’ll be interesting to see just how the Orioles respond when all eyes are on them this October. The absence of longtime Yankee nemesis Nick Markakis. The 28-year-old outfielder – also a career .295 hitter – was struck by a pitch on his thumb on Sept. 8, fracturing the bone and thus ending his season. With Baltimore boasting such a potent offensive lineup with the likes of Mark Reynolds, Adam Jones, J.J. Hardy, and Matt Wieters, Markakis is one less problem for the Yankee pitching staff to worry about. Inexperience on the part of the Orioles’ third baseman. Manny Machado was called up from the Double-A Bowie Baysox on Aug. 9. He’s done a fine job on offense in his infantile career, with seven homers and 26 RBIs. But on Monday, some shoddy defense at third cost his team a game vs. Tampa Bay – a game the Orioles needed to win in order to stay in contention with the Yankees for the AL East. If Machado falls through the cracks on defense, it might cost the O’s in the playoffs, the same way it did vs. the Rays. The Orioles knew how to win in extra innings this year. 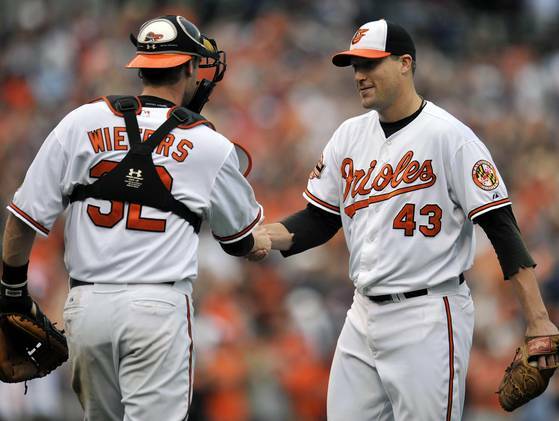 Baltimore posted 16 extra-inning victories in 2012, and won nine games that lasted 12 innings or longer. Some of their dramatics included a 15-inning win, a 17-inning win, and an 18-inning win this year. For the Yankees, playing only nine innings is key, given the O’s dominance in extra frames. Pitching to Mark Reynolds. The Orioles’ first baseman smacked 23 home runs this year – and seven of those 23 were off Yankee pitchers. Reynolds posted a .294 average vs. the Yankees in 2012 and knocked in 14 runs against New York. 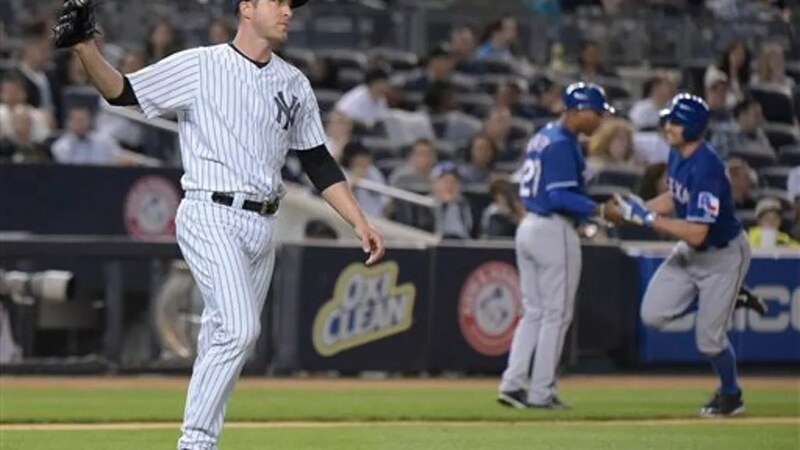 All season long Reynolds has been a thorn in the Yanks’ side, and he has a chance to continue it in the playoffs. Jim Johnson at the end of the game. Baltimore’s closer nailed down 51 saves this year in 54 save opps. Up until Tuesday, the Yankees were 0-for-58 when trailing after eight innings. Johnson is not a pitcher the Yankees would ideally want to be facing in a late, close game. Johnson was 3-for-3 in saves vs. New York this year. Resiliency on the Orioles’ part. Case in point: Thursday, Sept. 6. 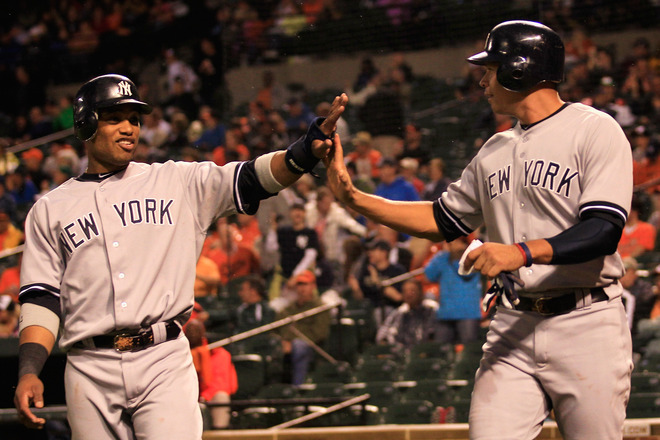 At Camden Yards, the Yankees fell behind early and trailed the O’s 6-1 after seven innings. New York rallied for five runs in the top of the eighth to tie it at six – only for Baltimore to answer with a four-run bottom half of the eighth. When it looked as if the momentum swung the Yankees’ way, the Orioles made sure to show the Bombers they possess the ability to battle back. Baltimore went on to win, 10-6. As always, there are upsides and downsides of playing any postseason opponent. I’m not one to make predictions, but ESPN is: and 11 of 28 analysts in Bristol, Conn. say the Yankees will be going to the Fall Classic – and six of those 11 have the Yankees winning it all. This writer can only hope those six are right. It’s only too bad the Twins aren’t playing for the Wild Card this year. I know the Yankees would be rooting hard for them – and I think, given the history, I’d say the Yankees’ odds of winning the first round would be pretty favorable. But it’s not the case. It’s not the Twins and if the Yanks want World Series number 28 this season, they’ll have to do what good teams do: find ways to win. The 2012 MLB season is just about three weeks away. Players are currently in camp fighting for roster spots, getting in shape, and preparing for what will be a summer-long grind. And as usual, it won’t be easy. A number of teams have bettered themselves during the off-season, and will pose huge threats to the Yankees bringing title number 28 home to the Bronx in October. A few teams will be breathing down the Yankees’ neck and they need to keep a sharp eye on them. When the Tampa Bay Rays first entered the league, they were almost a laughingstock; a joke that always finished at the bottom of the AL East. But in 2008 they came out of nowhere, capturing the division over the Yankees and the Boston Red Sox, and then going on to win the AL pennant. Since then, the Rays have been pests; a team that won’t go away, no matter how many times a knockout blow is delivered to them. Last year they swiped the AL Wild Card from underneath Boston’s nose, and have been to the playoffs three of the last four years. On offense this season, Tampa Bay might be under the microscope, at least a little bit. The Rays didn’t re-sign Johnny Damon in the off-season, but signed Luke Scott – who hit just .220 last year – to supplant him. After a year with the Chicago Cubs, Carlos Pena is returning to the Rays – and he only averaged .225 at the dish in 2011. One of the only true powerhouses the Rays have at the plate is Evan Longoria, who only batted .244 last year, yet clubbed 31 homers. 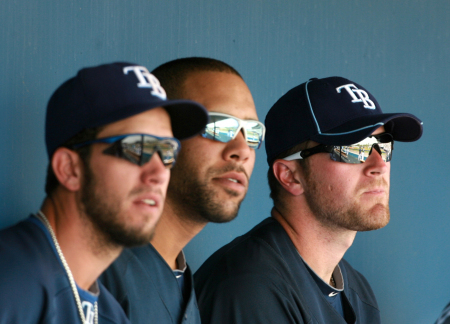 With their seemingly thin offense, one might get to thinking, why are the Rays such a threat? The answer is their starting pitching. Number one man James Shields went the distance last year, tossing 11 complete games to lead the league in that category. He also threw four shutouts to lead the league, winning 16 games along the way. Behind him is the pride of Vanderbilt, southpaw David Price. Last year Price compiled a 12-13 record; not the best numerically, but he was an All-Star and was coming off a season in which he won 19 games. He did prove to be a workhorse despite his uneven record, logging 224.1 innings and making 34 starts, which led the league. Behind the 1-2 punch of Shields and Price is a supporting cast of excellent arms. 24-year-old Jeremy Hellickson is the reigning AL Rookie of the Year. 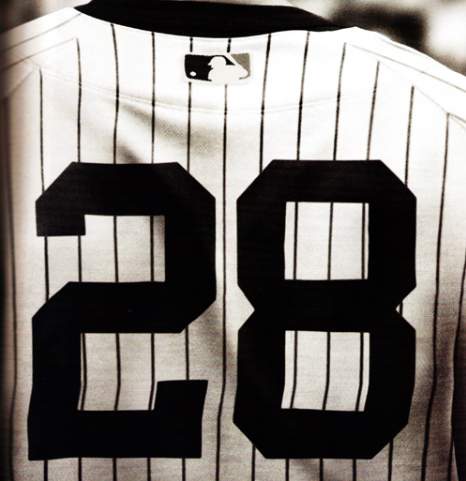 He threw 189 innings in ’11, won 13 games, and notched an ERA of 2.95. Jeff Niemann won 11 games last year, as did Wade Davis, giving the Rays five pitchers with double digit wins. If a team has that kind of efficiency out of their starting five, they are going to be very tough to beat. Boston seems to be in a little bit of a state of flux. This off-season was busy in Beantown, as they let go of revered manager Terry Francona and signed on the ever-colorful Bobby Valentine to be their skipper. They allowed closer Jonathan Papelbon to walk, as he took his flame-throwing arm to Philadelphia to be the Phillies’ closer. Two of their big-ticket starters, John Lackey and Daisuke Matsuzaka, have undergone Tommy John surgery. 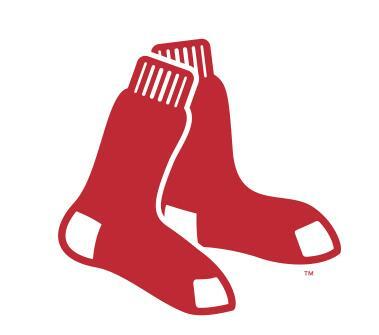 Lackey will miss the entire 2012 season and Dice-K will be out until at least June or July, leaving the Red Sox with Josh Beckett and Jon Lester as their top starters. Other than Beckett and Lester, the Red Sox have a ton of questions marks as far as their rotation in concerned. How will Daniel Bard make the transition from the bullpen to the rotation? Is Clay Buchholz going to perform at a high level? Will Felix Doubront be a factor? What about Alfredo Aceves, who has had back problems in the past? The starting pitching is not the only part of the team under scrutiny. Boston signed Andrew Bailey to replace Papelbon in the closer role, and will insert former Yankee Mark Melancon into the setup spot, supplanting Bard. How will Bailey handle closing in Boston as opposed to Oakland? Will Melancon rise to challenge of setting him up in close-game situations? All of these questions won’t be answered until the season commences, but if the Red Sox score runs – and they are capable of scoring runs – it won’t be a problem. Although Boston got off to a horrendous start and a fatal finish, they still scored 875 runs, which was good enough to lead the majors in ‘11. And they always seem to give the Yankees a hard time. 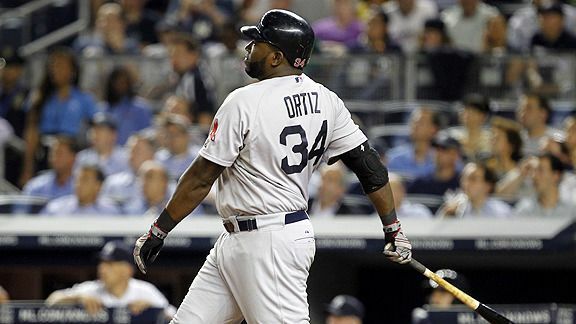 Last June Boston swept the Bombers in three games at Yankee Stadium, being led by Yankee killer David Ortiz. Big Papi smacked two homers in the series, and stirred up controversy when he flipped his bat in what many felt was a move to show up the Yanks. 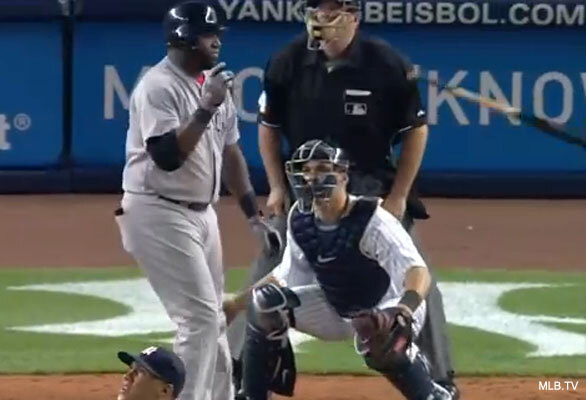 Bottom line: Ortiz proved he still has it when it comes to making the Yankees’ lives miserable. Along with Ortiz, 2008 AL MVP Dustin Pedroia will undoubtedly be swinging a hot bat this year, as will All-Star first baseman Adrian Gonzalez, who hit .338 last season with 27 homers and 117 RBIs. Like the pitching, speedy left fielder Carl Crawford and butch third baseman Kevin Youkilis are question marks. Crawford is dealing with a wrist injury that many analysts say caused a decline in his numbers last year. Youkilis had season-ending thumb surgery last August. If Crawford and Youkilis come back – and return to form – the Yankees, and all American League pitchers for that matter, need to look out. These two sluggers have the potential to cause major problems for the Yankees when they are at 100%. All things considered, the Red Sox will have a potent lineup. And no matter what anyone says, the Red Sox are always in the back of the Yankees’ minds. Always. Last October the Detroit Tigers dashed the Yankees’ hopes and dreams of winning the World Series, eliminating the Bronx Bombers in five games in the ALDS. New York was forced to watch the Tigers celebrate on their soil, as the team from the Motor City proved to be too much for the Yankees to handle. And it may have just gotten more difficult to beat them. 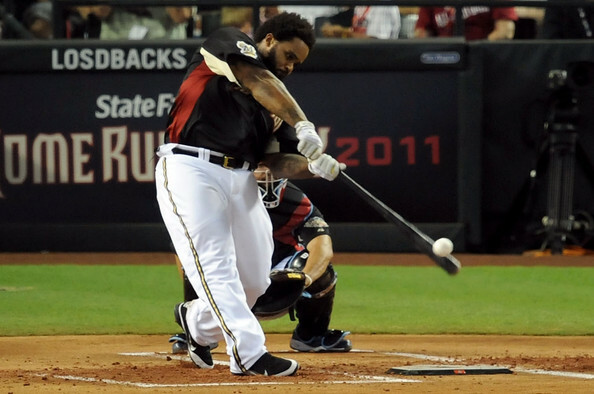 This off-season the Tigers signed power-hitting lefty Prince Fielder, who clobbered 38 home runs and drove in 120 runs last year. The hefty first baseman has twice averaged .299 at the plate (2009, 2011) and in 2007 Fielder led the National League in homers with 50. It’s what you can expect from a big guy, but don’t let the size fool you. Despite his heavy, 275-pound frame, Fielder is durable. He has played in all but one game since 2009, appearing in all 162 games in 2011 and 2009. He played in 161 games in 2010. 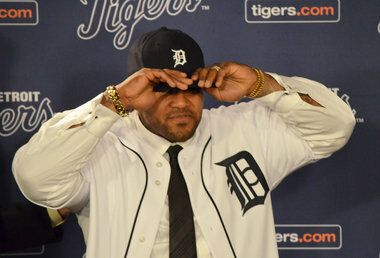 Fielder will join the likes of Miguel Cabrera and Delmon Young, two powerhouses who have already proven their worth in Detroit. Last season Cabrera led the league in doubles (48) and batting average (.344). Like Fielder he is also durable, as he appeared in 161 games in ’11. Young dazzled in last year’s ALDS vs. the Yankees, punishing them with a .316 BA while clubbing three homers and posting a .789 slugging percentage. He collected six hits in the five game series and drew two walks, showing his worth when the stakes were high. Detroit is obviously the front-runner to once again win the AL Central, and behind ace Justin Verlander – the reigning AL Cy Young winner and AL MVP – their chances of taking the central are high. The other teams in that division pose virtually no threat, and potentially the Yankees could face the Tigers in the ALDS again this year. If a rematch is in the cards, the Yankees have to adjust accordingly. It didn’t work out for them in last year’s postseason. It’s no secret that Texas is one of the prime teams to beat, as they have represented the American League in the World Series the past two years. 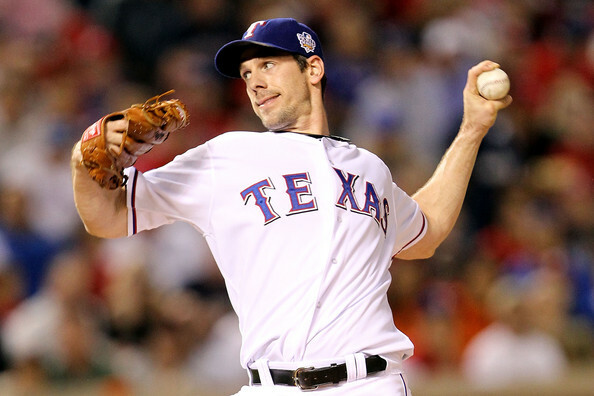 The Rangers lost their number one starter C.J. 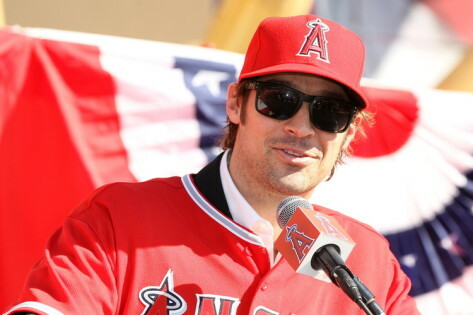 Wilson to a division rival, the LA Angels, but something tells me it’s not going to matter. The Rangers’ pitching will still be top notch. Colby Lewis won 14 games last year, as did Matt Harrison. If you were to ask manager Ron Washington, he would probably say both Harrison and Lewis possess the stuff to be number one aces. Alexi Ogando went 13-8 last year with a 3.51 ERA and he’ll be another weapon in the Rangers’ rotation. 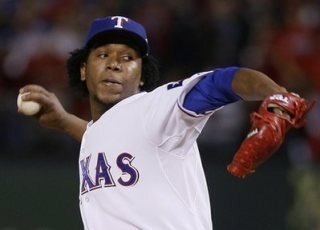 Throw Neftali Feliz and Yu Darvish into the mix, and you have quite a set of pitchers, although there are some questions surrounding Feliz and Darvish. Feliz is making a transition from the bullpen to the rotation, so much like Bard in Boston, his performance depends on how well his stuff translates; how well he works being stretched out. If it goes well for him, and he throws as hard as he did working in the closer role, he’ll be a feared pitcher in the American League. Like Feliz, Darvish is making a transition – but not from the bullpen. He’ll be making the switch from Japan to MLB. 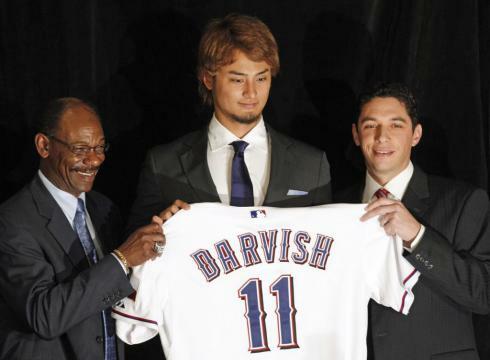 In his native country, Darvish was one of the finest and most revered pitchers. Last year alone Darvish struck out 276 batters over 232 innings of work, and won 18 games with a 1.44 ERA. Those numbers can be deceitful, however. 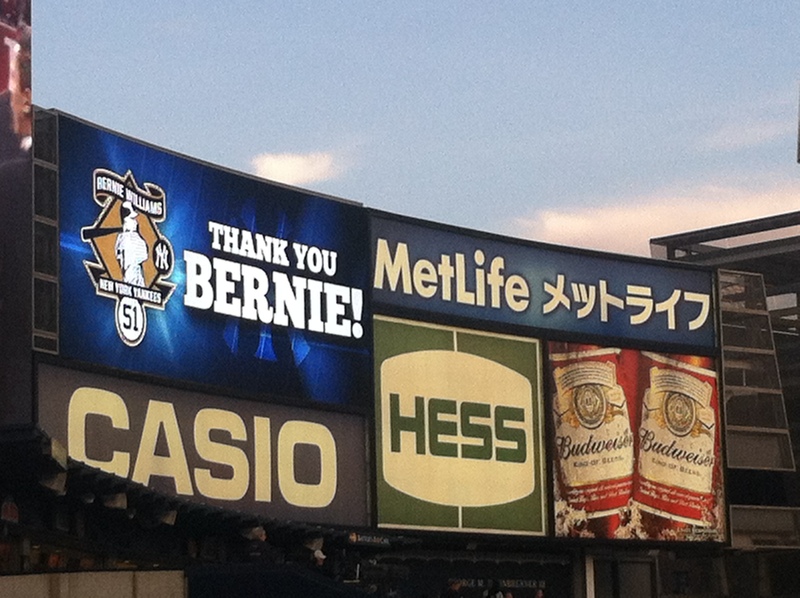 Ask Matsuzaka, or Hideki Irabu, or Kei Igawa, or any pitcher who sparkled in Japan and fell apart here. 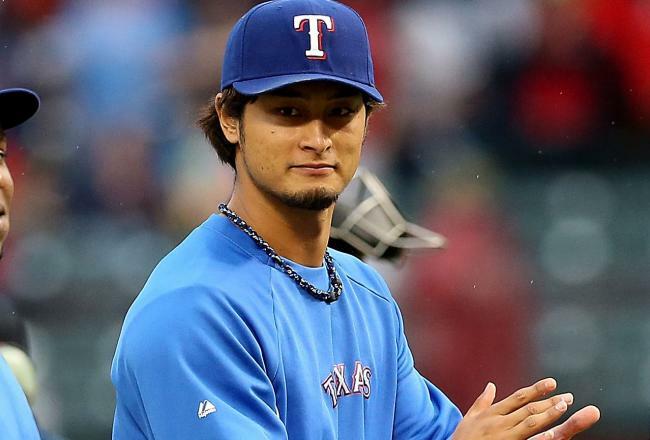 Pitching in the states is much different than pitching in the Far East, so Darvish is basically going to be an enigma until we really see what he can do – and we won’t know what he can do until he logs some innings here in the good ol’ U.S.A.
As far as the Rangers’ offense goes, they won’t have many problems if Josh Hamilton stays healthy. Even if he spends time on the disabled list, they have plenty of power to make up for it. Mike Napoli, the Rangers’ catcher, smacked 30 homers and drove in 75 runs last year. You know you’re going to be alright when you’re getting that kind of production out of the catcher spot. Along with Hamilton and Napoli, there’s Ian Kinsler, Nelson Cruz, Elvis Andrus, and Michael Young – a perfect combination of veteran and youthful offense. A message to the Yankees: when you’re in Texas, look behind you. ‘Cause that’s where the Rangers are going to be! (I couldn’t resist the cheesy/obscure Walker, Texas Ranger reference). In recent times the Angels have almost had the Yankees’ number, being the only team with a lifetime winning record against the Bronx Bombers. LA’s pesky hitting coupled with their stellar pitching are going to make the Halos one of the best teams in the league this season, if not the best. And it starts with one of their gigantic off-season acquisitions. The biggest, obviously, is first baseman Albert Pujols. The slugging 3-time NL MVP signed with the Angels on Dec. 8 – and, as if LA wasn’t hard enough to beat already, they just got that much more difficult; that much deeper. Pujols adds a surefire power bat to the lineup that already includes scrappy, young hitters like Howard Kendrick, Erick Aybar, Maicer Izturis, and Mark Trumbo. 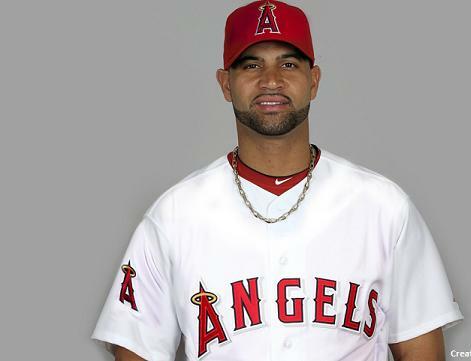 Former Yankee Bobby Abreu gives the Angels a veteran presence, as do outfielders Torii Hunter and Vernon Wells. Last year LA scored 667 runs. Expect that number to go up in 2012. Along with their strong offense, the Angels have stacked the deck as far as their pitching is concerned. As noted, the Halos snatched the Rangers’ ace C.J. Wilson over the winter, and he will join Dan Haren and Jered Weaver – who were both in double figures in the wins category last year. Haren notched 16 Ws while Weaver put up 18. Ervin Santana sealed 11 wins last year with an ERA under four. If he does the same working in the back end of the Angels’ rotation this year, they are going to win a lot of games. The Angels are pretty much the team that has it all; the complete package. If you were to ask me for my World Series pick, on paper, it would be the LA Angels. True. 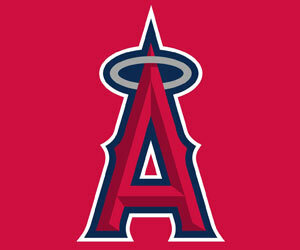 But the Angels look awfully dangerous, and have eliminated the Yankees from the playoffs twice, in 2002 and 2005. The last time the Yankees and Angels met in October (2009) the Yankees came out on top, beating the Halos in six games. They may need to do it again if they want to win number 28. Today he got hungry – and forgot his manners. Yankee ace CC Sabathia ate up 7 1/3 innings this afternoon, giving up just two earned runs on six hits en route to the Yanks’ 9-3 win over the Toronto Blue Jays at home. He walked just one batter and struck out 10 for the second straight game. With the win, Sabathia has collected at least 19 wins in each of his three seasons in pinstripes – which ties him for most 19 win seasons (as a Yankee) with Andy Pettitte, Ron Guidry, and Mel Stottlemyre. He now has four career 19 win seasons and he has a good chance to win 20 (or more) before the 2011 campaign wraps. Of late, the big man has been dealing like he’s been playing blackjack in Vegas. But it hasn’t just been the past couple of starts that have put Sabathia in the running for the Cy Young Award. All season long he has been a horse. In fact, since day one he has done nothing but work, grind, and earn everything he has. 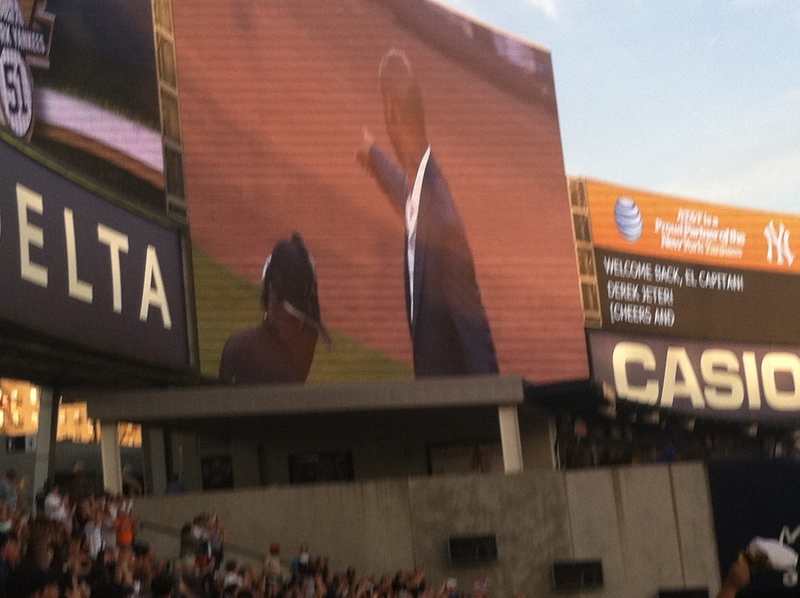 Case in point: his last start on Aug. 30 in Boston, a game the Yanks needed and won 5-2. 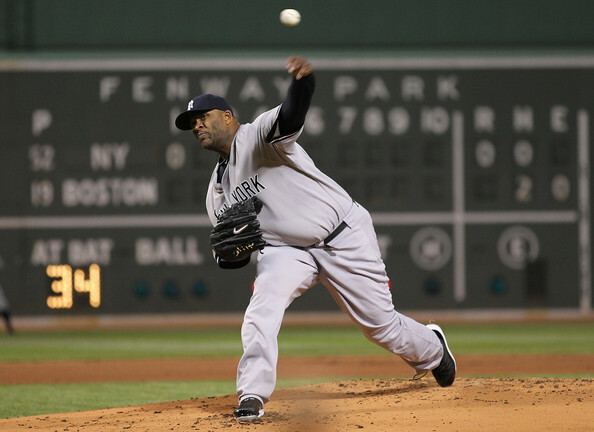 The Red Sox had gotten the better of Sabathia all season going into that game. 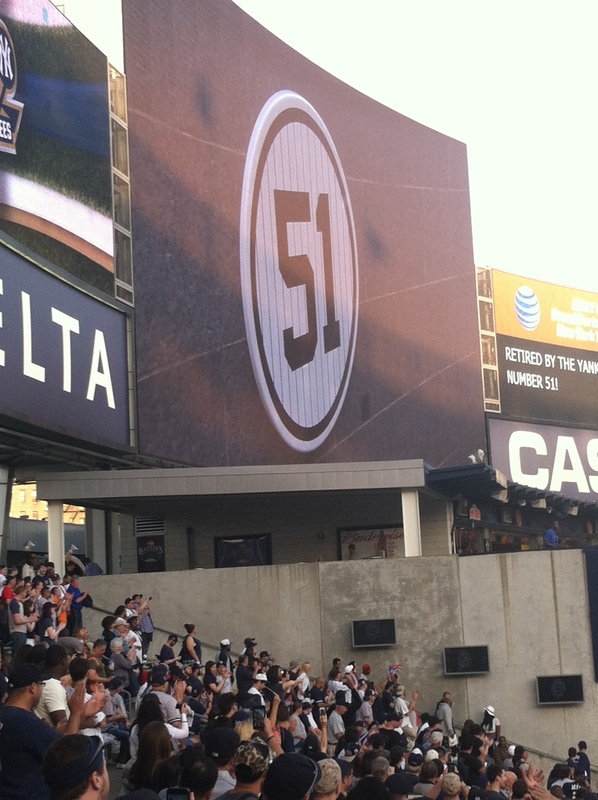 His numbers proved that, as he boasted a poor 0-4 record with an inflated 7.20 ERA against the Yankees’ hated rivals. More than anything he needed to showcase his capability to win a hugely important ballgame in 2011 vs. the Red Sox. And that’s what he did, although it wasn’t easy. To start the game, Sabathia plunked Jacoby Ellsbury with a pitch – which probably sent a lot of skeptics and cynics into saying, “here we go again.” But he rebounded nicely, getting Marco Scutaro to ground into a force out before striking out Adrian Gonzalez and Dustin Pedroia swinging to end the frame. In the second inning, Sabathia threw a wild pitch with Jed Lowrie on first, getting himself into a first-and-second, one out jam (He fanned David Ortiz to open the frame). Boston eventually loaded the bases with two outs, but the Yankee ace responded by getting Ellsbury to ground out to second to end the threat. 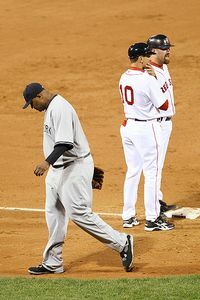 The fourth was a bad inning for Sabathia, as he surrendered two runs – one of which came on a solo homer off the bat of Carl Crawford. He also allowed Jarrod Saltalamacchia to score on a double by Scutaro, giving Boston their only two runs in the game. The Yanks had already put three runs on the board and never trailed. However in the fifth, he got himself into more trouble. He gave up a one out single to Ortiz, followed by a Lowrie double, setting up the BoSox second and third, one out. But Sabathia continued to refuse to buckle, as he got Crawford to line out and then whiffed Saltalamacchia to end another threat. The big man labored; worked his tail off to earn the win – six innings pitched, 10 hits, two earned runs, two walks, 10 strikeouts, and he chucked a career-high 129 pitches to get through the game. If that performance doesn’t have the word “Warrior” written on it, what does? Last year Sabathia came in third in the American League Cy Young Award voting, losing to Felix Hernandez of the Seattle Mariners (who won, coming in first in the voting; 13-12, 2.27 ERA) and David Price of the Tampa Bay Rays (first runner-up; 19-6, 2.72 ERA). Sabathia won 21 games last year while only losing seven, and his ERA was 3.18. Most proponents for Hernandez’s Cy Young win argue that his individual numbers were better than Sabathia’s and Price’s – and that’s true. He led the league in batters faced (1,001), games started (34), ERA (2.27), innings pitched (249 2/3), and hits-per-nine (7.0). Plus, he was able to post a winning record on a ballclub that gave him virtually no run support, another factor contributing to his winning of the award. Hernandez had a lot going for him; the writers recognized that and rewarded him for it. I have always maintained that the Cy Young Award should go to the Most Valuable Pitcher – because the award says MOST VALUABLE PITCHER on it. Sabathia (and Price, for that matter) were more valuable to their respective teams. Sabathia carried the Yankees into the stretch run and helped get them into the American League Championship Series. Price did much of the same. 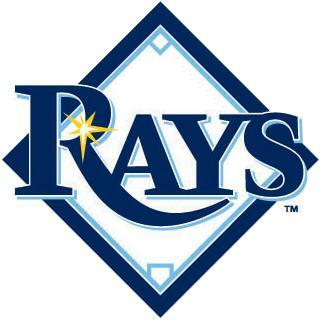 He stood at the forefront of the Rays’ pitching staff, leading them to the AL East crown. There’s no doubt that Hernandez had an incredible year in 2010 because the numbers do not lie. Yet, the question has to be asked: if he was on a team (like the Yankees or Rays) that was locked a tight pennant race, would he be the same pitcher? The Mariners were not going to the playoffs last year. Hernandez could have taken the mound every fifth day with no pressure whatsoever. Win or lose at the end of the day, Seattle wasn’t in the running for the AL West. 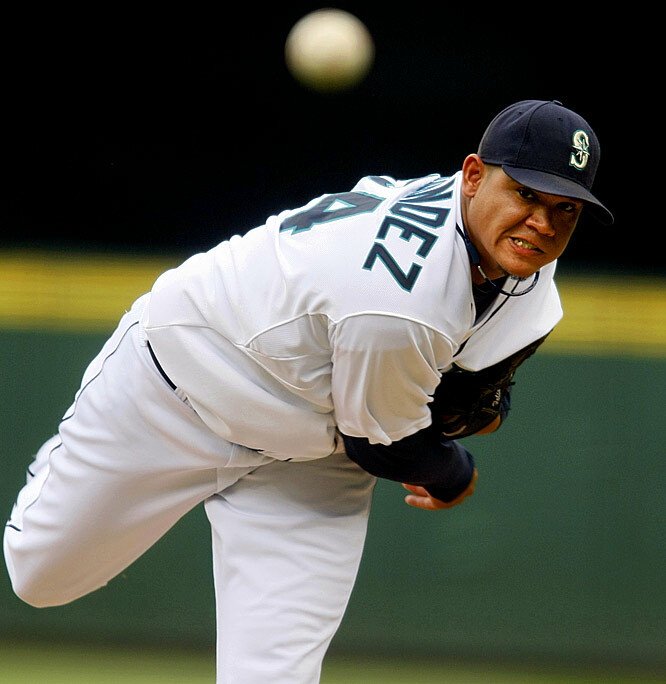 Hernandez probably pitched “hakuna matata,” if you will; with no worries in his head. Sabathia and Price had a lot to worry about, though. Both were the aces of pitching staffs that were going to be playing autumn baseball; they were under much more scrutiny and more likely than not, were thinking hard about the postseason. But that was last year. Hernandez won. It’s over and done with. With Sabathia’s outstanding numbers this year (19-7, 2.99 ERA) he is once again a candidate for the Cy Young Award. 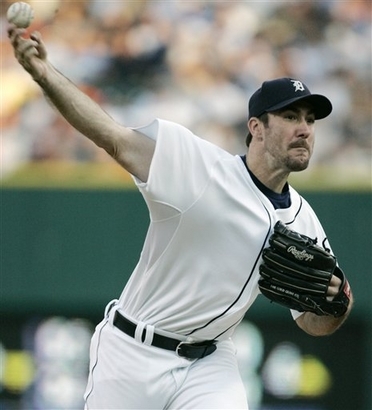 His stiffest competition is, without a doubt, Justin Verlander (21-5, 2.34 ERA) of the Detroit Tigers. 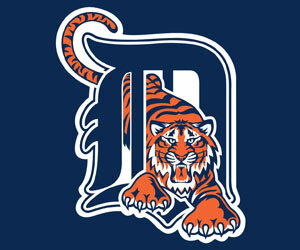 Verlander has put the Tigers on his back and carried them to first place in the AL Central. You name the pitching category, Verlander leads it. I think what is going to win him the award, along with his numbers, is this question: where would the Tigers be without Verlander? It’s a legitimate question. The answer: probably not in first place. But another question needs to be raised: where would the Yankees be without Sabathia? Same answer: probably not in first place. The Yankees have three pitchers in their rotation with losing records. Bartolo Colon is 8-9, Phil Hughes is 4-5, and A.J. Burnett is 9-11. Without Sabathia’s 19 wins and brilliant workmanlike efforts, the Yankee ship would be sunk. I still find it amazing the Yankees are in first place, considering three of their starters don’t own winning records. It’s pretty incredible that they have been able to continue to win games despite receiving subpar starting pitching at times. Verlander has a little bit of an edge over Sabathia in terms of the Cy Young voting, as his numbers are a hair above the Yankee ace. Knowing the writers, they will give it to Verlander – and if he does win the award over the big man, I cannot dispute it in any way – certainly not the way Hernandez’s Cy Young win can be brought into question . It was easy to point out why Sabathia (or Price) should have won over Hernandez, but Verlander is for real. If a pitcher has 21 wins and September just started, he is doing something right. There are, however, a couple different Yankees who are in consideration for other awards, namely the AL Most Valuable Player Award and the AL Rookie of the Year. Curtis Granderson is leading the majors in runs scored with 125 and in RBI with 107. He is second in home runs with 38 to Toronto’s Jose Bautista, who has 40. The only thing that’s killing Granderson is his .271 batting average. If he can raise his BA, he’s a shoo-in for MVP. 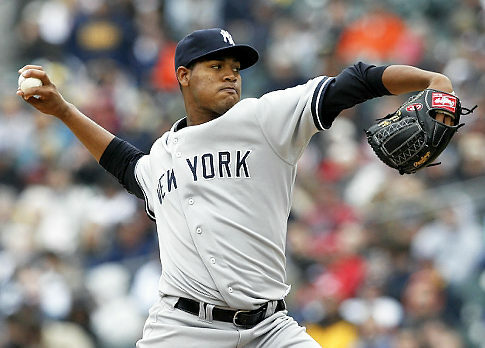 Meanwhile Ivan Nova (15-4, 3.89 ERA) is up for AL Rookie of the Year. 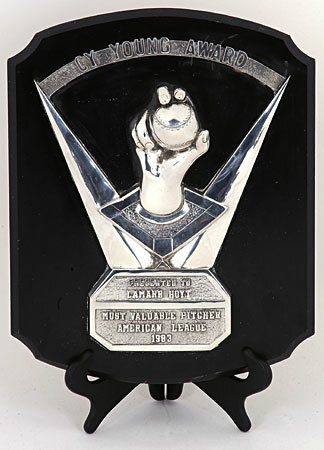 Each of the past two seasons a pitcher has captured the award (Andrew Bailey of the Oakland A’s in 2009 and Neftali Feliz of the Texas Rangers in 2010). Nova will hopefully keep the line moving and become the first Yankee to win Rookie of the Year since Derek Jeter won it in 1996. The writers hate the Yankees. Can Mark Prior be This Season’s Comeback Kid? Some of the best stories in sports are the stories of comebacks. Most people are familiar with Josh Hamilton of the Texas Rangers, who was a highly touted prospect but fell victim to temptation and drugs. 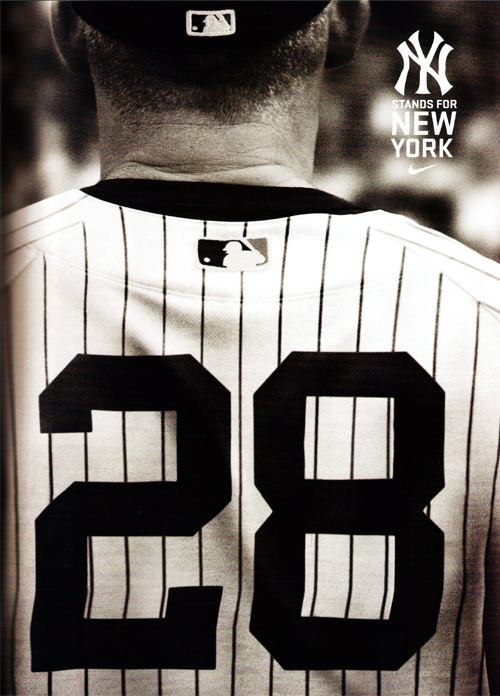 He worked as hard as he could and made it back to become one of MLB’s best players. If you are a football fan, David Tyree’s name comes to mind. He was arrested and lost everything, becoming another athlete with a drug addiction. Yet he exorcised his demons and eventually had the huge “helmet catch” to help propel the New York Giants to a 17-14 Super Bowl victory in 2008 over the undefeated New England Patriots. The so-called “rise up from the ashes” tale is one everyone enjoys – not just sports fans. At 30, life in baseball has seemingly not yet begun for Mark Prior. Stemming back to his debut in 2002 with the Chicago Cubs, he has a history of injuries and he has never really been able to recover from them. You name it, Prior has been through it. Hamstring injuries, Achilles injuries, shoulder surgery, elbow strains, a tweaked oblique, tendinitis – he has not had an easy career considering all these problems. Although he has been hurt most of his career, he still holds a lifetime record of 42-29 with an ERA of 3.51, and he has fanned 757 lifetime batters. He was the second overall pick (in the first round) by the Cubs in the 2001 draft and he even made the National League All-Star team in 2003. That being said, he has the makings of a very good pitcher. Now, if he can only find a way to translate it to his career without getting hurt. Since leaving the Cubs after 2007, Prior has bounced around baseball. He tried to make it with the San Diego Padres, but never pitched a Major League game for them. He was released by the Padres in August of 2009 and in June of 2010 he went back to USC, where he had previously attended College. In September of last year Prior agreed to a deal with an independent team – the Orange County Flyers of the Golden Baseball League. Exactly a month after he had agreed to play for the Flyers, he signed a Minor League contract to pitch for the Texas Rangers. He made it clear that he wanted to pitch for a Major League club and hoped to catch on with the Rangers in a middle or long relief role. Obviously he didn’t get a roster spot on the Rangers, but that didn’t mean he was giving up. This past off-season the Yankees signed Prior to a Minor League deal. He has only pitched one inning this spring- a perfect frame against the Detroit Tigers on Monday March 1. He has also been working out with the team consistently and hopes to accomplish what he didn’t with Texas – receive a spot in the bullpen as a middle or long reliever. In a recent interview with the YES Network, Prior described his arm strength as “good” and stated that he needs to prove that he can stay healthy. One of his goals this spring is to show everyone what he is made of. Prior added that he wants to get comfortable pitching in games. At the trade deadline last season, the Yankees acquired Kerry Wood, who was Prior’s teammate for five years on the Cubs. At one time the two were considered a “dynamic duo,” if you will, being the Cubs’ top tier starting pitchers. Like Prior, Wood sustained a number of injuries and analysts and fans questioned his ability to return from them and effectively pitch. 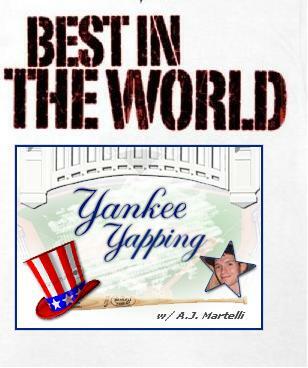 Wood proved to everyone that he can indeed still pitch, as he went 2-0 with a 0.69 ERA down the stretch for the Yankees. He was also instrumental in fortifying the Yankee bullpen, acting as the bridge to Mariano Rivera for the second half of 2010. Prior was happy to see his former teammate succeed in pinstripes. “I know Woody had a great time here, he really enjoyed himself here, and I think it revitalized him to continue on and keep playing,” he said. The fans should be rooting for him. I am. On Saturday the Yankees will kick off their Spring Training campaign in the Grapefruit League. It has been announced that Bartolo Colon, one of the Yanks’ off-season acquisitions, will start Saturday’s game against the Philadelphia Phillies. Joe Girardi said Colon is starting because he pitched Winter Ball and he’s more likely to be ready to pitch to another team. Colon is 14-21 with an elevated ERA of 5.18 since 2005. Is he even going to make the team in 2011? We’ll see. It depends on how he performs throughout Spring Training. Nonetheless, he is a question mark. When he arrived at camp, Colon was noticeably overweight, as was Joba Chamberlain. The 25 year-old righty said he set up a gym in his house to work out in over the off-season. Chamberlain was billed at 230 lbs. during the 2010 postseason, but it has been said he is undoubtedly heavier now. Can Chamberlain get his weight down and possibly get back to his flame-throwing 2007 form? Another question and we will have to wait for the answer. 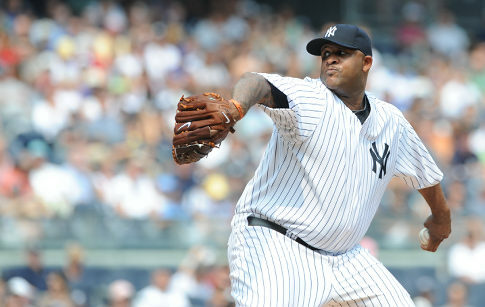 CC Sabathia–who may or may not opt out of his contract at the end of this upcoming season–was said to have lost 30 lbs. coming into camp. Yet, that claim was later refuted by Yankees’ General Manager Brian Cashman. Earlier this month at the B.A.T. dinner, Cashman saw Sabathia and remarked that it didn’t look as though he lost any weight; that he still looked to be around 300 lbs. Where are we, anyway? Yankee camp or the Biggest Loser? Was Steinbrenner correct in his statement? Well, yes and no. There’s no denying that toward the end of 2010 the Yankees became complacent. In September of ’10, the Yankees had a losing record of 12-15, and they were swept by the team that eliminated them in the American League Championship Series (Texas Rangers) during a four game losing streak. Obviously they did lose their focus and it carried over into the final round before the World Series. 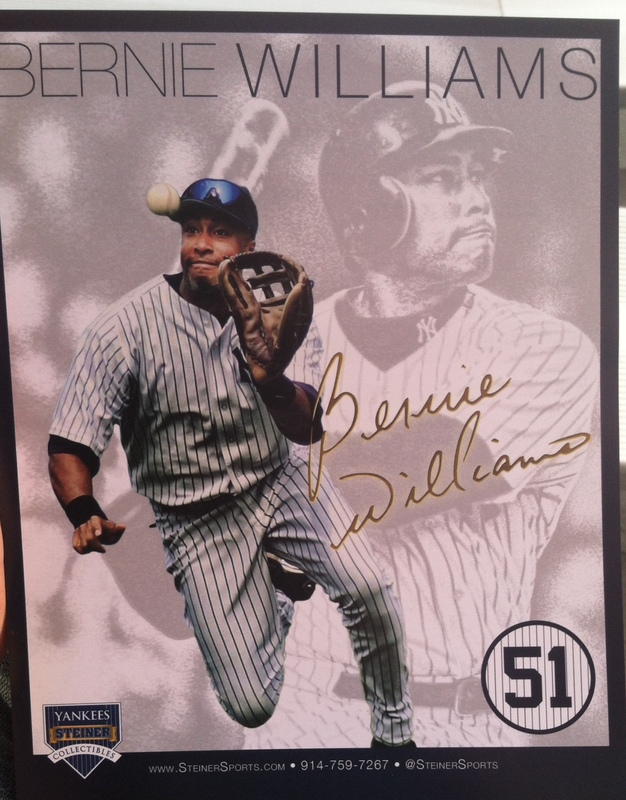 However, the Yankees did win 95 games during the regular season and 100 overall. 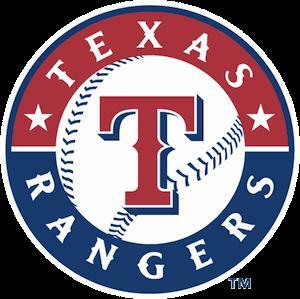 But even that was not enough to stop the rolling Texas Rangers team. Derek Jeter was one player most people thought Steinbrenner was referring to, at least in terms of the mansion-building remark. The Yankee Captain built a large, multi-million dollar home in Tampa last year. However, Steinbrenner went on to say he wasn’t singling out any individual; he was not targeting Jeter. Girardi added that Steinbrenner was simply expressing frustration; the same frustration everyone within the organization had, not repeating as World Champs last year. While the air may be cleared on that subject, the Yankees will have to regain the focus lost in last year’s ALCS. But can they do it?